Inconspicuous means of defence, also known as palm-stick, yawara, pasak or dulodulo, is made from tough plastic material and it significantly enhances defence abilities of the users. 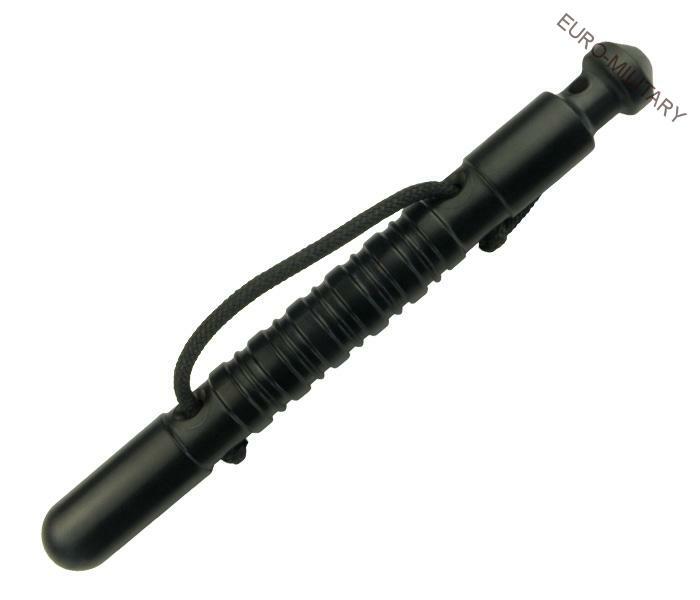 Kubotan can be used for hits, for pressures on the nerve points or for levers. Its central part is knurled, which prevents slipping of kubotan from your palm. At the end it has an eye for hanging on a keyring.Kubotan is supplied with a string allowing its fixation to 2 or 3 fingers, so that it remains in your hand when you need to grab the attacker. The length of the strings can be set according to the user's specification. Length 155 mm, diameter 15 mm, weight 30 g.
it's not cheap Asian imitation. Which will soon be broken. This Kubotan is real security product.